In May of 2013 Oklahoma experienced the largest tornado ever recorded and the Canadian Valley Technology Center-El Reno Campus sat in the monsters direct path. When the storm was over all nine buildings on the campus were either completely destroyed or suffered major damage. CVTC is one of CMSWillowbrook's oldest clients and Cary DeHart, our founder and CEO, was on sight early the next morning assessing the damage. Over the next 3 1/2 years our team worked tirelessly alongside of the CVTC staff and MA+ Architects to move the students to other locations, redesign and rebuild the entire campus. Yesterday, CVTC reopened its doors during a grand Ribbon Cutting Celebration featuring Oklahoma Gov. Mary Fallin as the keynote speaker. 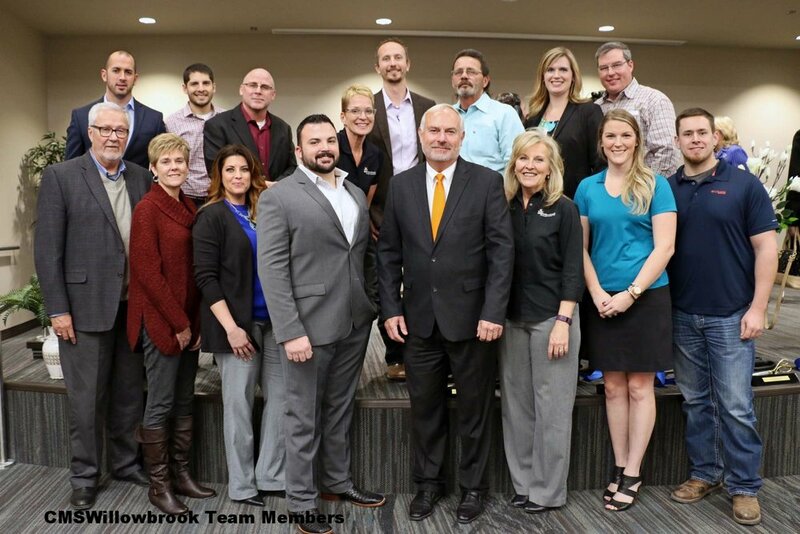 CMSWillowbrook is honored to have been a part of this amazing project and would like to say "Congratulations!" to CVTC on their new "rebuilt" campus!